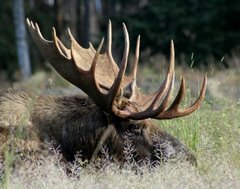 Moose Tracks: Taken, Or Just Taken for Granted? Everyone knows that Republicans are "Pro-Life". Everyone also knows that Democrats are "Pro-Black". At least that is what "everyone knows". If we look at the top most murderous cities in the US ... Chicago, Detroit, Baltimore, DC, New Orleans, St Louis, etc, they are all Democrat fiefdoms of welfare, urban blight, failed public schools, drugs, crime and single parent households. Democrats like it that way -- being "pro-black" means encouraging blacks to live in a manner that keeps them voting over 90% Democrat. Why worry about anything else? On the Republican side? Why alienate the "moderates" by giving the wacked out pro-lifers anything but flapping lips and broken pormises? What part of "politician" was it that the rubes failed to get anyway? There is always a "good excuse" for not REALLY nominating SCOTUS judges that will overturn Roe V Wade and return the infant slaughterhouse rules to the states. The Democrats won't let us get through the Senate, we will lose the woman vote, we will lose the "libertarians" (all 2-3% of which they lose anyway), etc. We were assured by the MSM that Trump would not actually appoint a pro-life judge to the SCOTUS ... for the reasons above, and because "he doesn't care'. Of course we were assured there was no way he could win as well. Perhaps being taken only flew for a little over 40 years!